The Department of Water and Sanitation said that the Cabinet had approved the new Lepelle North Water Board, which would start its work 1 April. The new Amatola Water Board had commenced duties on the first of February. Lepelle North Water Board presented its annual report. Revenue from primary activities had increased by 9%, and 8% from secondary activities. Operational expenses had decreased by 6%. There had been a net surplus of R69.4m. Debtor days stood at 422 days, mainly because of one major client. There was no unauthorised, irregular or fruitless and wasteful expenditure. The audit report of AGSA had given an emphasis of matter relating to ineffective steps to collect money due, with 80% of the total accounts recoverable being classified as doubtful debt. Total receivables for water sales had been R403m, of which R311 had been outstanding for more than six months. Lepelle North had achieved all its non-financial goals. It also gave an update of the water supply challenges in wards 24-27 and 34 of Tzaneen, where the Department had appointed Lepelle North as the implementing agent for a number of projects. The challenges of vandalism and illegal connections still needed to be addressed. There were a number of boreholes where there was no electricity supply, presenting a challenge of sustainability because Lepelle North had in the interim provided generators, but operations could stop due to a lack of diesel. Members asked why Parliament was not a stake holder of the water boards. Members said Lepelle North had not talked about its debtor days figure and the outstanding debt of Mopani municipality. Was there improvement in the debtor days figure -- if not, what was being done about the matter? Members said Lepelle North had not talked about the percentage of water lost at plants. If there was a supply interruption, how long did it take to reconnect a client? Was there a change in the water quality, and what was Lepelle North doing about it? Members said the cost of electricity was excessively high and it should be reduced. The areas mentioned in the upgrade report were not the areas from which the Committee had received petitions. What was Mopani’s outstanding amount? Clarity was sought on a 30-year contract to sell agricultural water to Southern Palace 440, and whether the contract had been implemented. How had Lepelle North assisted the country to reduce unemployment? How many youth had been employed? How did Lepelle North assist in providing skills in communities in the area of the Lepelle North’s operations? What were the challenges Lepelle North were facing in addressing the matters of emphasis in the audit report? Members said that treated water was being lost and ways were not being found to harvest that water for use in irrigation schemes. What was the cost of manufacturing a water treatment plant and a waste water treatment plant of 20ML? Who was monitoring the Vhembe water treatment plant? The Amatola Water Board spoke to its annual report. Revenue had increased by 2% from the previous year, to R3 380. Expenditure had been higher than budgeted because Amatola had sold less water than in the previous year and because of its use of a non-viable treatment plant. Amatola had high fixed labour costs. Irregular expenditure of over R80m had been incurred in terms of procurement policies not being adhered to, overspending on expired contracts and prior year irregular expenditure. There had been fruitless and wasteful expenditure of R1.1m. There was provision for litigation for the amount of R550 000. R5m had been kept aside for contingent liabilities. Amatola had an unqualified audit report with findings, among which were that staff were not properly trained to implement policies, audit findings were not being properly addressed, responsibility and accountability had not been adequately delegated to management, and there were insufficient monitoring controls in place. On the non-financial side Amatola had achieved 69% of its objectives. Members said both presentations had shown concern that debt was growing. Could the equitable share not be used to pay Eskom and the water boards, because the equitable share was to provide free basic services? What was the opinion of Amatola? Members asked about the contingency fees and what would happen should the amount be greater than amount reserved. Who was responsible and what systems were in place to prevent the irregular expenditure mentioned in the presentation, and what recourse had taken place? Members asked if staff loans could not be standardised and said that bursary schemes could easily be abused. If something wrong had been done, there had to be accountability. The Department was asked how often they were monitoring water service authorities. Mr Anil Singh, Deputy-Director General, Department of Water and Sanitation (DWS), said the Chief Executive Officer of Lepelle North Water Board had tendered his apology to the Department for his absence because he was a witness in a court case. Mr Singh said that the Cabinet had approved the new Board, which would start its work on 1 April. Mr Johan Kilian, Chief Financial Officer (CFO), Lepelle North Water Board, presented the financial performance of the Board and gave an overview of the non-financial performance. Revenue from primary activities had increased by 9%, and by 8% from secondary activities. Operational expenses had decreased by 6%. There was a net surplus of R69.4m. Debtor days stood at 422 days, mainly because of one major client. Expenditure was slightly over budget because of an increase in electricity rates and the need for security at plants. Lepelle North was trying to mitigate these additional costs. Staff debt had been incurred for bursaries. R5m had been set aside for contingent liabilities. 35% of the budget had been spent on compensation of employees and the balance on goods and services. There was no unauthorised, irregular or fruitless and wasteful expenditure. Staff debt was mainly for bursaries. Lepelle North had achieved all its non-financial goals. The audit report of the Auditor General of South Africa (AGSA) had given an emphasis of matter relating to ineffective steps to collect money due, with 80% of the total accounts recoverable being classified as doubtful debt. Total receivables for water sales was R403m, of which R311 had been outstanding for more than six months. Mr Ahuiwi Netshidaulu, General Manager, gave an update of the Tzaneen water supply challenges. The Department had appointed Lepelle North as the implementing agent for a number of projects, including the installation of pipelines, the upgrading of water schemes, extension of reticulation schemes, the restoration of water supplies, the upgrade of water treatment works and the repair or replacement of bulk water pipes in various projects in wards 24-27 and 34 of Tzaneen. The challenges of vandalism and illegal connections in this regard, as raised by the Department previously, still needed to be addressed. Lepelle North was also repairing and servicing the pump stations and implementing leak control systems and cost recovery. He said that they would recommend to the Department that as pipelines were completed, there should be funding available to reticulate the bulk pipeline water. The Ralela water scheme challenges were the supply of electricity to boreholes, and Lepelle North was supplying diesel generators in the meantime until Eskom serviced the boreholes with electricity, but this raised challenges of sustainability. Other challenges were the non-functioning of dilapidated water infrastructure, vandalism and illegal connections. Similarly in other villages, boreholes had been drilled but the challenge was a lack of electricity and stoppages due to the unavailability of diesel for the generators. The Chairperson asked why Parliament was not a stake holder of the water boards. Mr Singh replied that traditionally, Parliament was the oversight body of the Department and was thus not seen as a stakeholder that had to be consulted and engaged with. However, the Department would seek to engage with Parliament as it had done with the water tariffs issue so that Parliament was not a rubber stamp. In this regard, the water boards would present their quarterly reports to the Committee. Mr T Makondo (ANC) said Lepelle North had not talked about its debtor days figure and the outstanding debt of Mopani municipality. Was there improvement in the debtor days figure -- if not, what was being done about the matter? He said Lepelle North had not talked about the percentage of water lost at plants. If there was a supply interruption, how long did it take to reconnect a client? Was there a change in the water quality and what was Lepelle North doing about it? He said the cost of electricity was excessively high and it should be reduced. The areas mentioned in the upgrade report were not the areas the Committee had received petitions from. Regarding the R311m outstanding for more than 60 days, Mr L Basson (DA) asked what Mopani’s outstanding amount was? He wanted clarity on a 30-year contract to sell agricultural water to Southern Palace 440, and whether the contract had been implemented. 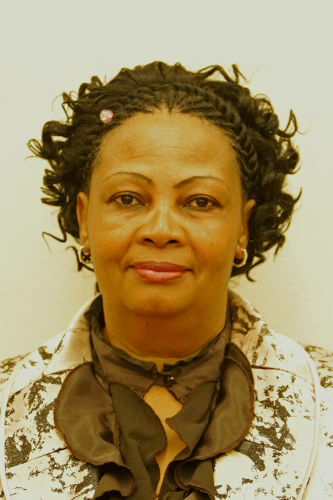 Ms B Maluleke (ANC) wanted information on how Lepelle North had assisted the country to reduce unemployment. How many youth had been employed? How did Lepelle North assist in providing skills in communities in the area of Lepelle North’s operations? What were the challenges Lepelle North was facing in addressing the matters of emphasis in the audit report. The Chairperson said that treated water was being lost and ways were not being found to harvest that water for use in irrigation schemes. What was the cost of manufacturing a water treatment plant and a waste water treatment plant of 20ML? Regarding Mr Makondo’s question on community petitions, Mr Singh said Lepelle North was not directly involved. It had been dealt with by the Department of Water and Sanitation’s regional office. He would make copies of the reports available to the Committee. Mr Kilian said the Southern Palace contract had not been implemented yet. A process was still under way and the Committee would be kept informed as the process continued. Regarding the one long-outstanding debt of a municipality, he said the first challenge was that the executive management of the municipality and its council kept changing. The Mopani district municipality, which owed the debt, covered five municipalities including Phalaborwa municipality. Phalaborwa municipality had sources of income and paid, but Mopani district municipality was not paying Lepelle North. Lepelle North was in weekly contact with the Mopani district municipality and had even implemented section 34 and reduced water supply to local municipalities, but this was penalising those who paid while the culprits, the Mopani district municipality, got off scot free. There was an arrangement where the old debt was being paid off at R15m per month according to what the municipality could afford, but the current debt still needed to be sorted out. Lepelle North needed the assistance of the Department, Parliament and Treasury to resolve the matter. Regarding water loss, Mr Netshidaulu said that according to the shareholder compact, the board was allowed 5% water loss for the water treatment plant and 5% for bulk. The current water loss was 4% for plant and 7% for bulk. The latter figure was because of illegal connections. The board was doing monitoring and leak detection. Regarding water quality, he said the plants in Tzaneen and Polokwane did have blue drop accreditation. Lepelle North was installing new technology to improve and optimise water quality. It had a fully fledged research and development department and the laboratory had been accredited.. Regarding the cost of electricity, Lepelle North was trying to reducing it by installing hydro generators at dams under their control and solar panels at all their plants. He would provide a written report regarding the question of addressing unemployment, as he did not have the figures at hand for all the projects Lepelle North was involved in implementing. On the question that 82% of the water was going to farmers, and how Lepelle could make use of treated sewage water, he said those were avenues to be explored. Water and waste water plants costs depended on the technology used and the quality of water being treated. The cost for a packaged plant could be R2m per ML. Conventional plants cost more. Waste water plants cost R5m per ML. Mr Makondo said the Committee had conducted oversight in Limpopo . The Committee needed details of the other two schemes in Venda. Ms Maluluke asked who was monitoring the Vhembe water treatment plant. The Chairperson said he had asked the question on the cost of plants, as he felt that consultants were ripping off the state. Mr Singh agreed that the matter of water treatment works had to be given priority by the Department. The Department had given a report that costs could vary between R4m and R20m based on the technology used. The Department was preparing a report that local service providers could build the plant because the plants were mostly imported from the Nordic countries, who were the leaders in water treatment plants. The report would look at what was most suitable for South Africa. The Chairperson asked what the policy was in appointing auditors. Mr Kilian replied that Lepelle North had to go the AGSA to decide whether AGSA or outside auditors would be used. If it was outsiders, then a tender process followed in which AGSA confirmed the winning bid. The tender was for a cycle of three years, renewable each year..
Mr Singh said that the new board of Amatola had commenced duties on the first of February. Mr Lefadi Makibinyane, CEO, Amatola Water Board, spoke to the financial and non-financial performance. Revenue had increased by 2% from the previous year, to R3 380. Expenditure was higher than budgeted. This was because, in Program 1, Amatola had sold less water than in the previous year and the use of a non-viable treatment plant. Amatola’s water supply and administrative costs did not support achieving their targets and the main cause was excessively high fixed labour costs. Compensation of employees totalled 34% of the budget, with the rest going to goods and services. Irregular expenditure of over R80m had been incurred because of procurement policies not being adhered to, overspending on expired contracts and prior year irregular expenditure. There had been fruitless and wasteful expenditure of R1.1m. Amatola had negligible staff debt and the debt was being recovered monthly. There was provision for litigation for an amount of R550 000. R5m was kept aside for contingent liabilities. On the non-financial side, it had achieved 69% of its objectives. Amatola had an unqualified audit report with findings, among which were that staff were not properly trained to implement policies, audit findings were not being properly addressed, responsibility and accountability had not been adequately delegated to management and there were insufficient monitoring controls in place. Mr Basson said both presentations had shown concern that debt was growing. Could the equitable share not be used to pay Eskom and the water boards, because the equitable share was to provide free basic services. The problem was that the grant was unconditional. The equitable share would be the correct tool to use. If municipalities did not pay, then interest accrued and services became more expansive. What was the opinion of Amatola? The Chairperson asked about the contingency fees and what would happen should the amount be greater than amount reserved. Who was responsible and what systems were in place to prevent the irregular expenditure mentioned in the presentation, and what recourse had taken place? Regarding Mr Basson’s question, Mr Makibinyane said that every avenue had been tried and where persuasion failed, Amatola wrote to Treasury to report the culprit municipality because Amatola recognised that it could not be sustainable if money was owed to it. Regarding irregularities, he said Amatola had been in a difficult situation when he joined, where even a supply chain management unit was non-existent. There had been a lot of irregular things happening, but swift action had resulted in those employers involved in irregularities not being with the organisation any more and internal controls and systems had been strengthened. Regarding fleet ownership, Amatola was exploring mechanisms to provide services for the fleet. It was due to a lack of planning, but the culprits were no more with Amatola. Regarding the contingency fees, he said these were for a court case involving a student who had been injured when visiting a plant. The Chairperson asked if staff loans could not be standardised, and said that bursary schemes could easily be abused. Mr Kevin Govindsamy, CFO, said the organisation had study and tool allowances. They had staff debtors, but they paid their debt. The debtor days had been high at 345 days, but significant progress had been made and they had now been reduced to 80 days. Regarding contingent liabilities, Mr Singh said it was prudent to settle the case if there was negligence so that the matter could be put to rest. It was important for the Department to give direction regarding contingent liability because a court case might take years and come with high legal costs. The Chairperson said that if something wrong had been done, there had to be accountability. Mr Makibinyane said that if that had been a criminal case, it would have been pursued. However, this had been a case of not adhering to best practice and the policies of Amatola. This was a case of indiscipline, which could lead to disciplinary action or the person could resign. Ms Maluluke asked the Department how often were they monitoring water service authorities. Did they check to see if these water service authorities were qualified to supply water? Mr Singh said water use licences were given based on a number of criteria, including the water available in the catchment area. The compliance and monitoring unit did monitor compliance of municipalities and mines, but that the real challenge was the shortage of process controllers and the need to improve the training of the controllers. The challenge at local government level was a lack of capacity, or a lack of training.